A few Scammells from my UK collection. Mostly unknown snappers, but again some carry the name of Pat Crang. I'm no expert on Scammells, but I believe this is a Highwayman with the cycle front guards which I think were an option. 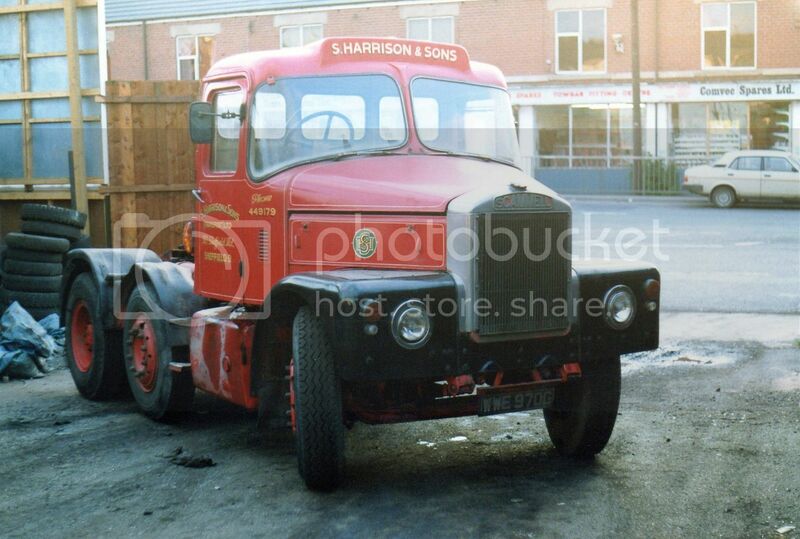 S.Harrison & Sons of Sheffield were avid users of the brand. The forward control model in the right hand foreground uses the same basic cab as the Highwayman. Another Highwayman. 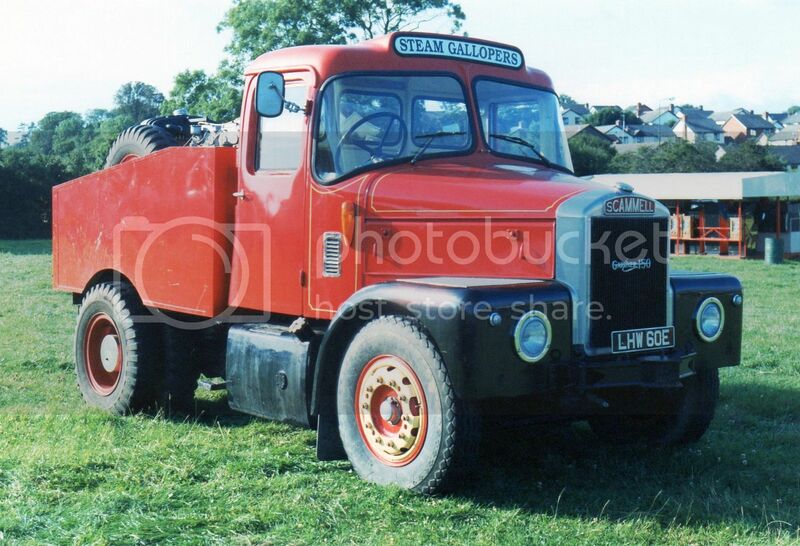 This time employed in the fairground business as a ballasted tractor. Churchill's Handyman has appeared on my blog before. 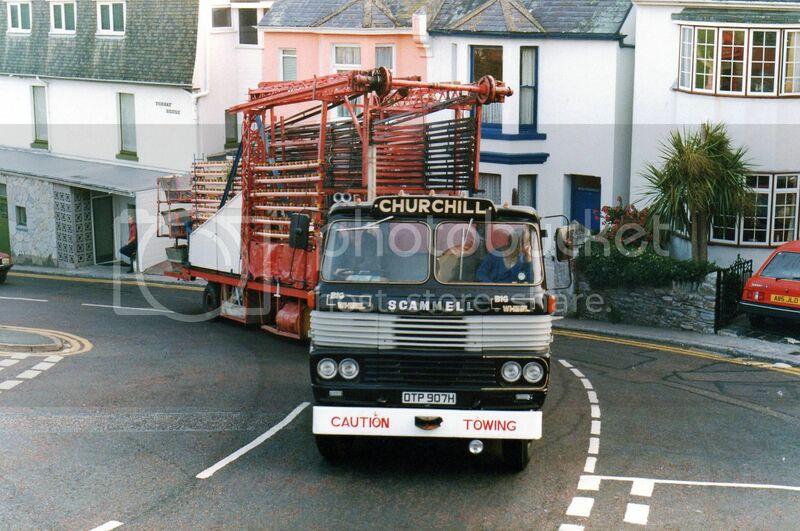 Another angle of it, pulling a fairground load, with its fibreglass Michelotti designed cab. 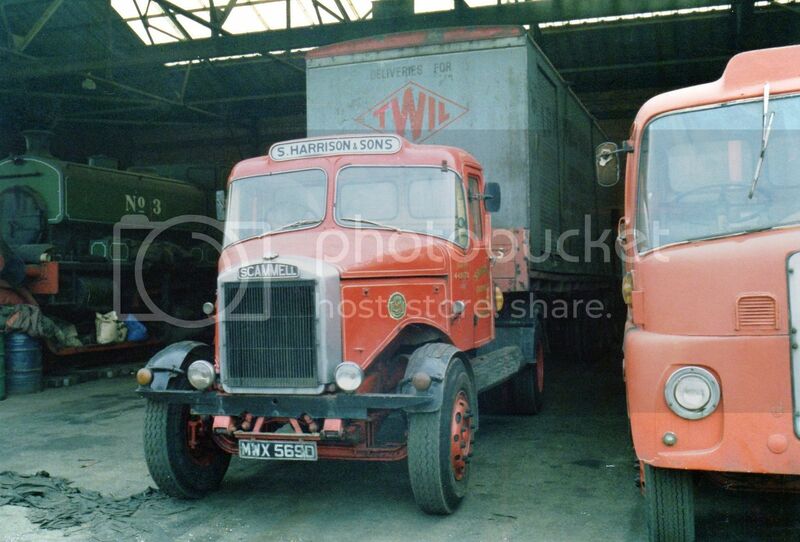 Another Harrison & Sons Highwayman. This example has a non-steering single tyred axle ahead of the driving axle and the full guards. Early cabbed Highwayman with the flat glass windscreens and rigged as a ballasted tractor..
Michelotti cab again. 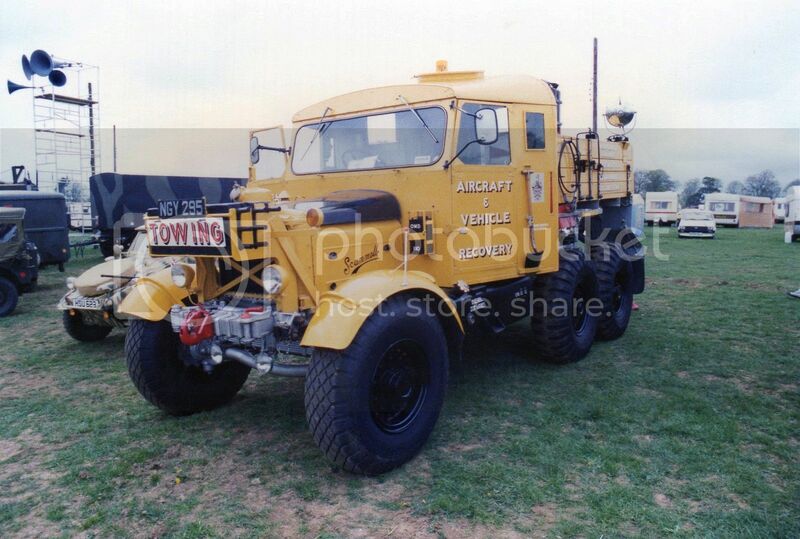 This one is an 8 wheeler, known as the Routeman MkIII. Personally I think the Mk II, with its 4 round headlamps (similar to the Churchill's Handyman above) , looked better than the Mk III. Pioneers were produced as a military vehicle. 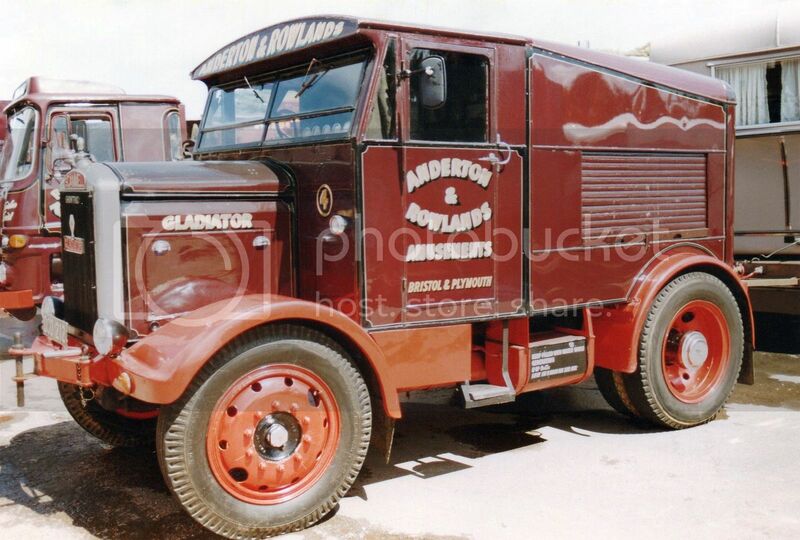 Although they were developed as 6x4 and 6x6s, most were 6x4s like the one shown.This example has had the cab rebuilt as originally the windscreen was two piece. 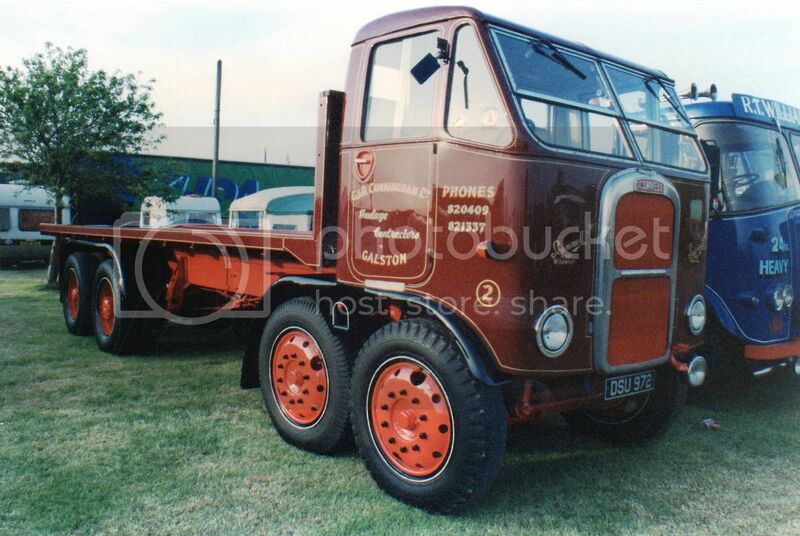 They were renowned for their enormous axle articulation and pulling power from extremely low gearing. Many found new lives as recovery wagons after their service with the forces. 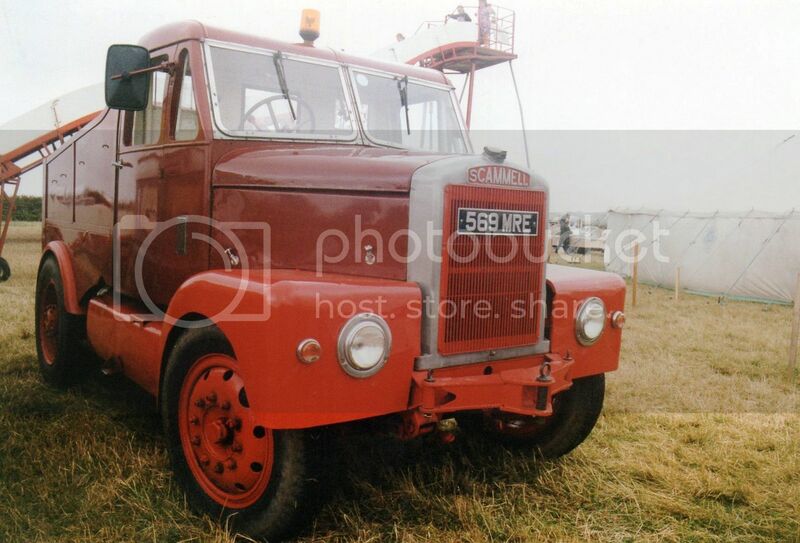 8x2 restored Scammell Rigid 8. 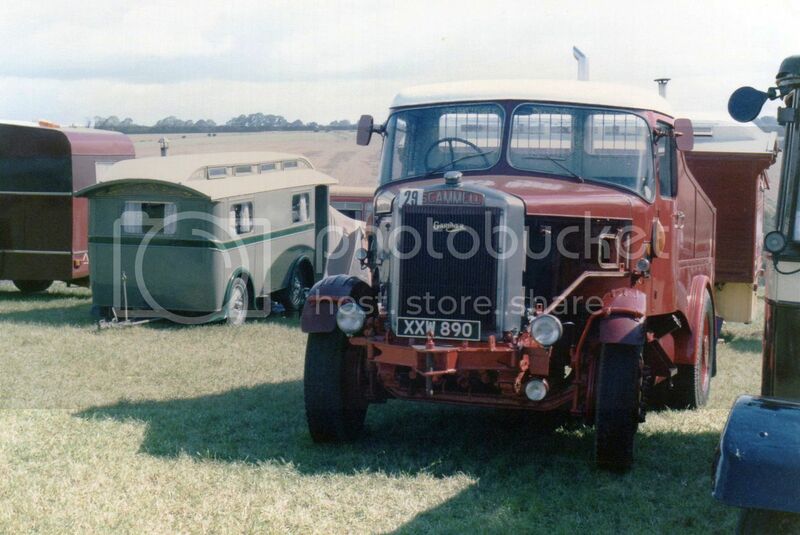 The Showtrac was a ballasted tractor for the fairground trade, using a generator as the ballast. 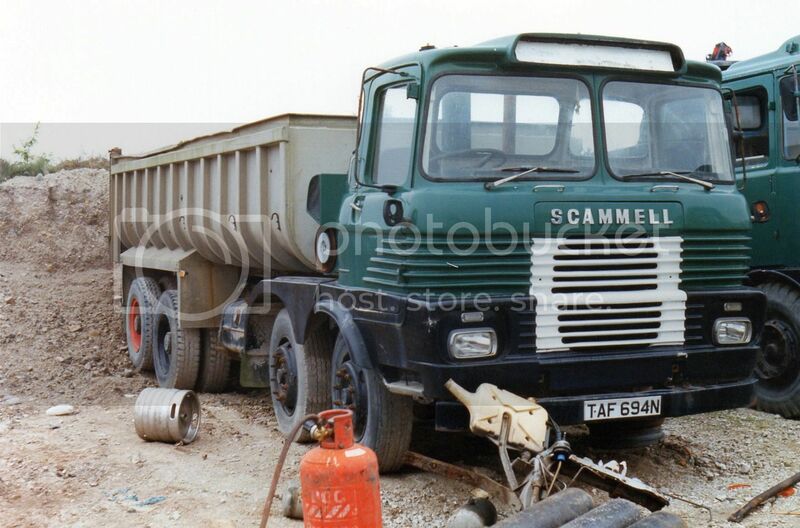 There were many 4 wheeler Scammells converted privately to the Showtrac concept and at one stage there were apparently more "Showtracs" on the road than Scammell had actually produced. Will It Do a Million?